When this review was written it was due to be the last year of the Cornbury Festival but thankfully it is now back for 2018. Here is the review for 2017! 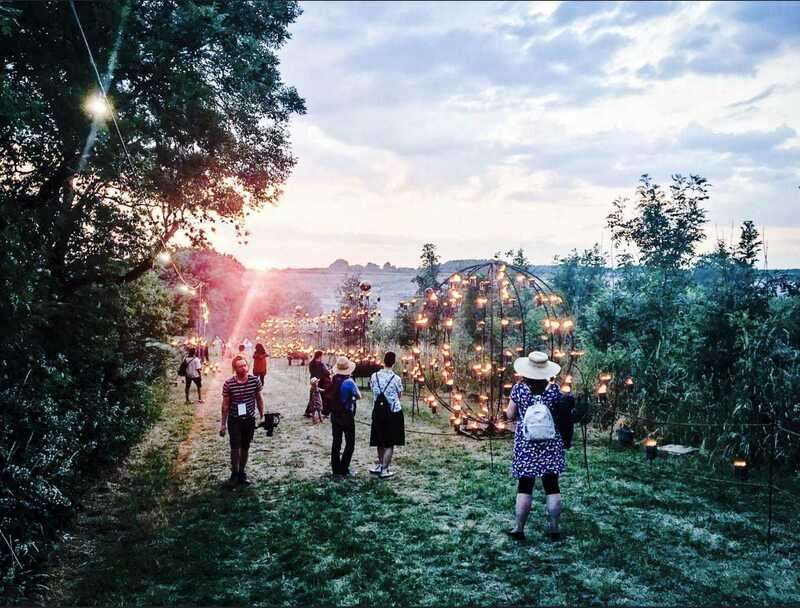 Unbeknownst to us, this was the final year of Cornbury Festival. Which is so disappointing for a lot reasons, which you will find out more as you read on. One of this year’s sponsors was Dorset Cereals. Having them on board was a really great idea, especially for the people camping there over the weekend. In our youth, we were very much festival goers. 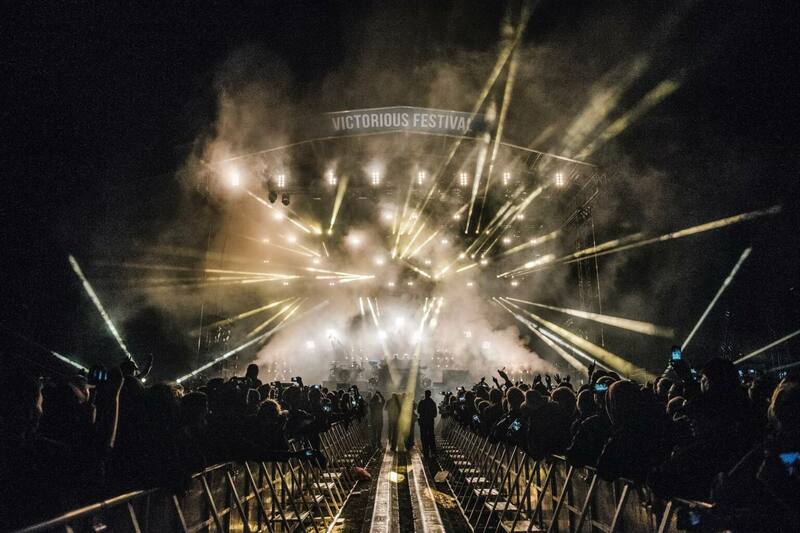 As avid music fans you cannot beat live music coupled with an electric atmosphere of like minded people. 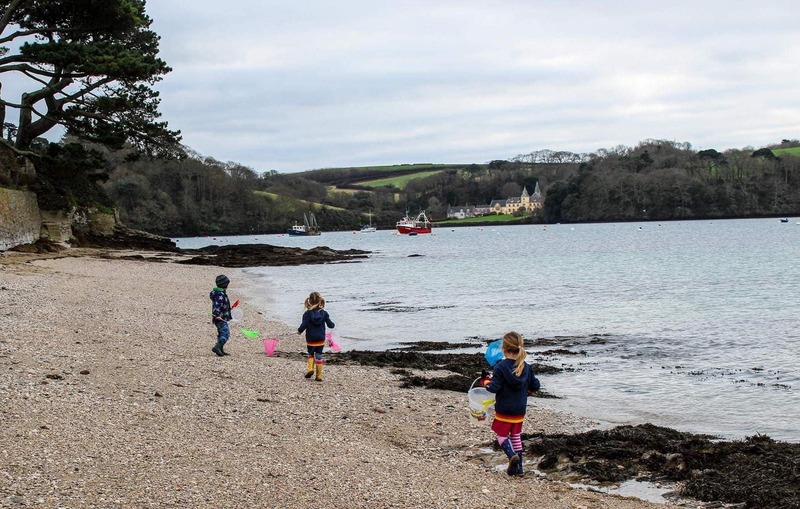 We weren’t altogether sure how this would mix with bringing our children along but we wanted to see what there was to offer. However, once we entered the festival our doubts quickly vanished. 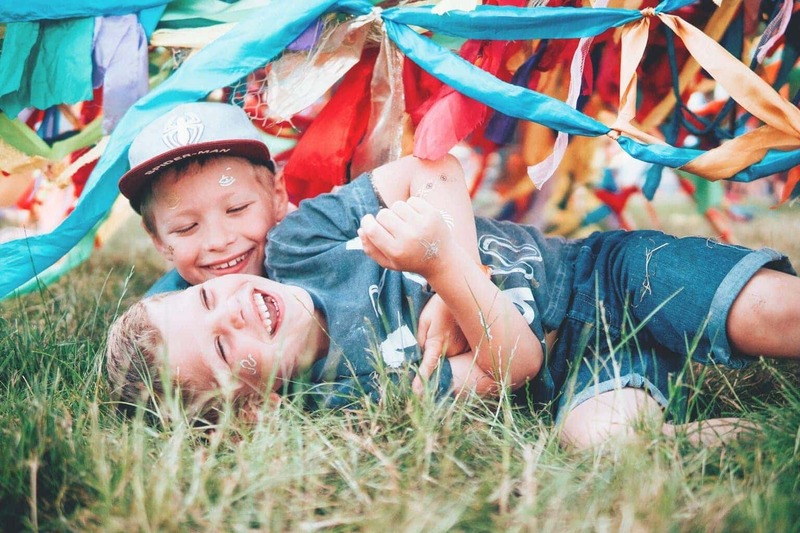 There was so much to see and do, but the main emphasis of Cornbury was based around families and children. 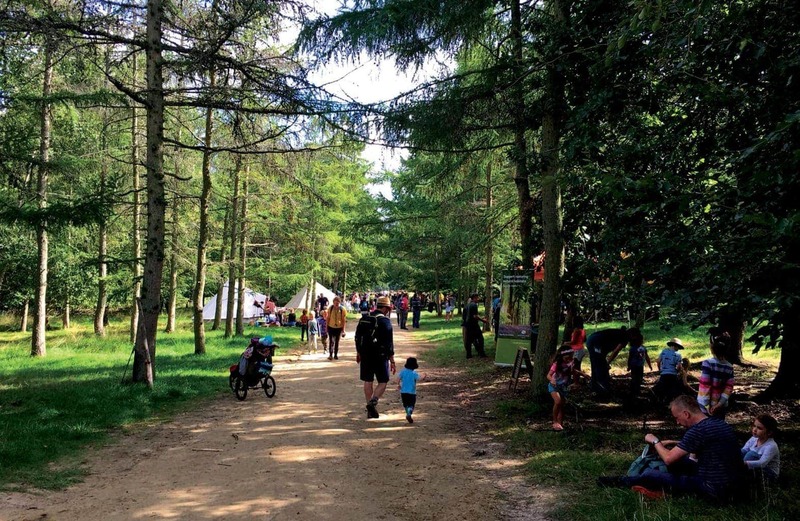 Families are very much at the heart of this festival. There were plenty of fair ground rides (unfortunately the Haunted House proved too much for our five year old) to tempt children and an array of children’s activities. 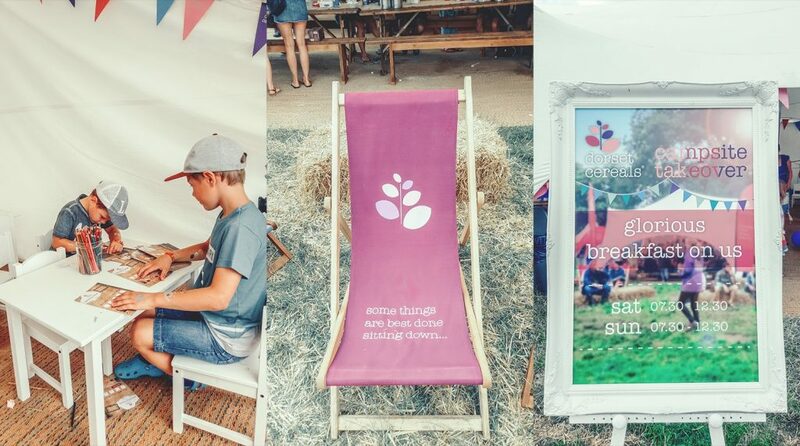 They ranged from den building to clay modelling to a fabulously funky festival photo stall with so much more in between. 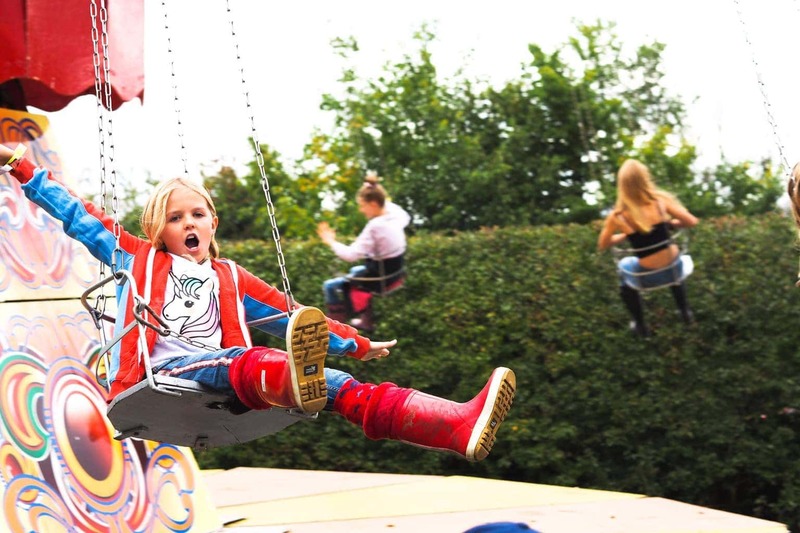 Apart from the cost of the fairground rides, we found that most of the children’s activities were completely free. 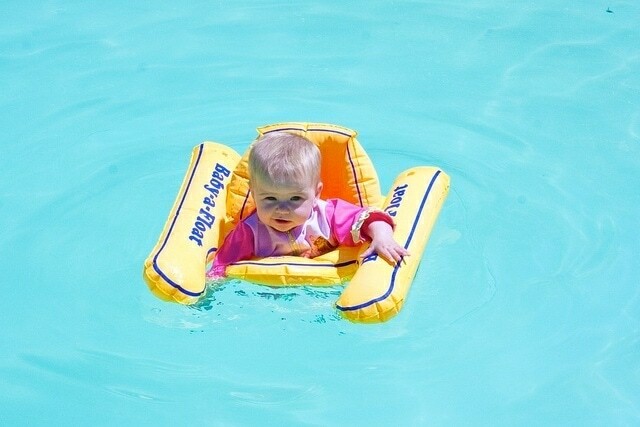 There were more than enough activities to keep children entertained, especially handy for kids that get bored easily and want to move onto the next attraction. I will be the first to admit, that when I saw the line up of artists, there were about three bands that I was genuinely excited to see and the rest I could take or leave. So I went there in the mindset of soaking up the atmosphere and enjoying time with my family. However when we arrived, we discovered so many more fantastic artists that had we not gone, we would have never known about. Personal favourites of mine were The Pierce Brothers and Keywest. Unfortunately we didn’t get to spend as much time as we would have liked seeing the bands, as there was just so much that our kids wanted to do. This is something to consider when you have smaller children but it’s a compromise worth making so that you can involve the whole family. As we don’t own a tent we cheated by spending the night in a hotel but we made sure we got there early so it was almost as if we camped there! 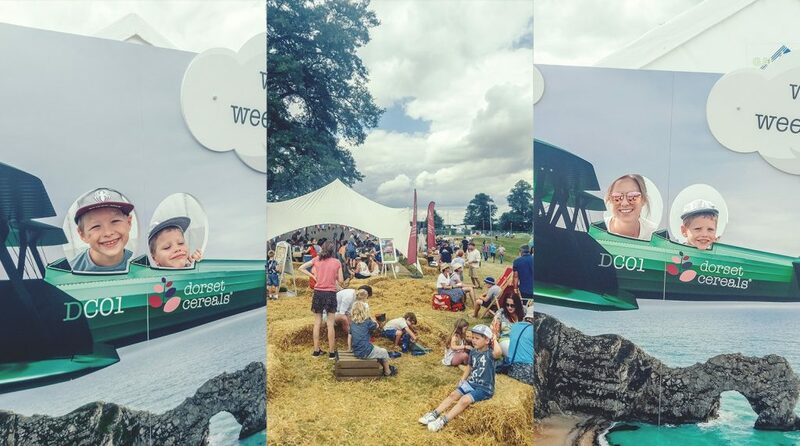 For the rest of the campers, Dorset Cereals were hosting a campsite takeover that offered a fully immersive brand experience straight to its consumers. Dorset Cereals are a firm favourite in our house, so we didn’t need to be asked twice to be given the opportunity to try out so many more flavours. Inside the takeover tent there were full packs of Dorset Cereals, bowls, cutlery and a variety of milk/yogurts/juices for campers to help themselves to at breakfast. As well as the full packs on offer, there were samples for you to take away and also the chance to win packs by having your photo taken in front of their display….which we did! 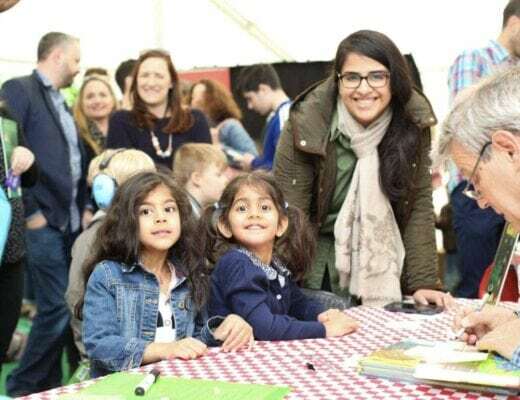 Additionally, at the marquee, they entertained the festival goers with children’s activities, acoustic music, (the lady was awesome) yoga classes and plenty of other festival fun throughout the day for the duration of the festival. 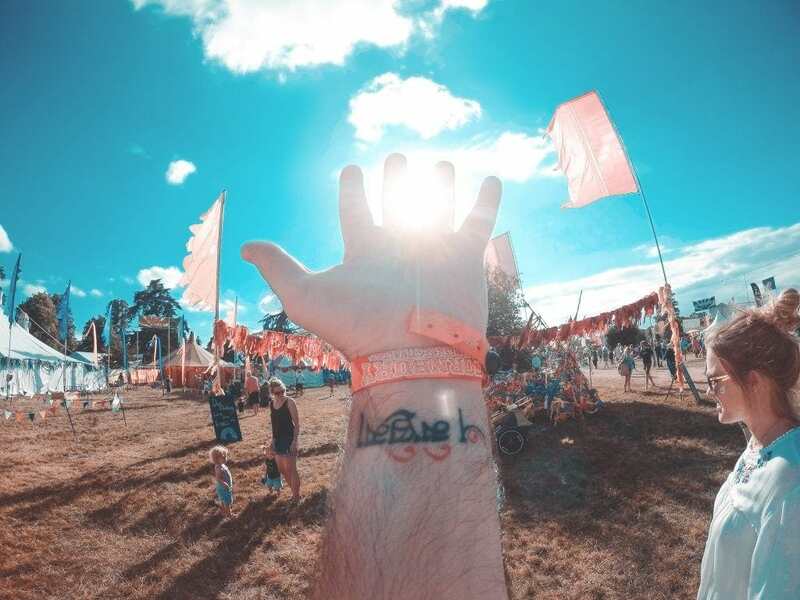 For this reason there really wasn’t any excuse for campers or for anyone attending the festival to skip breakfast and start their day without a full tummy. 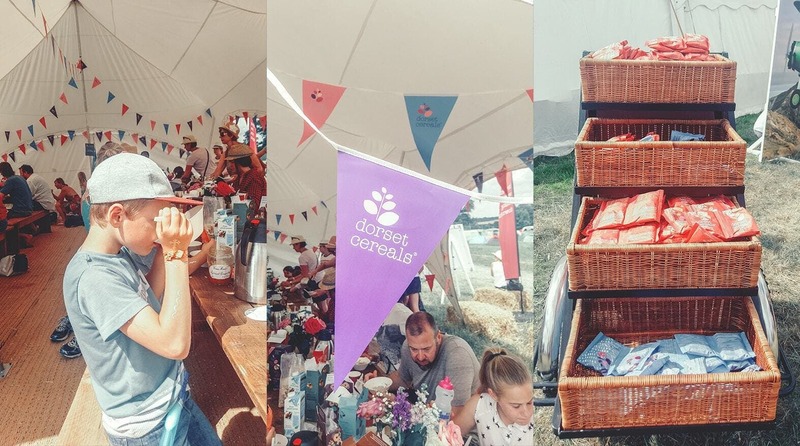 If you get the chance to attend a festival sponsored by Dorset Cereals, I could not recommend it more. 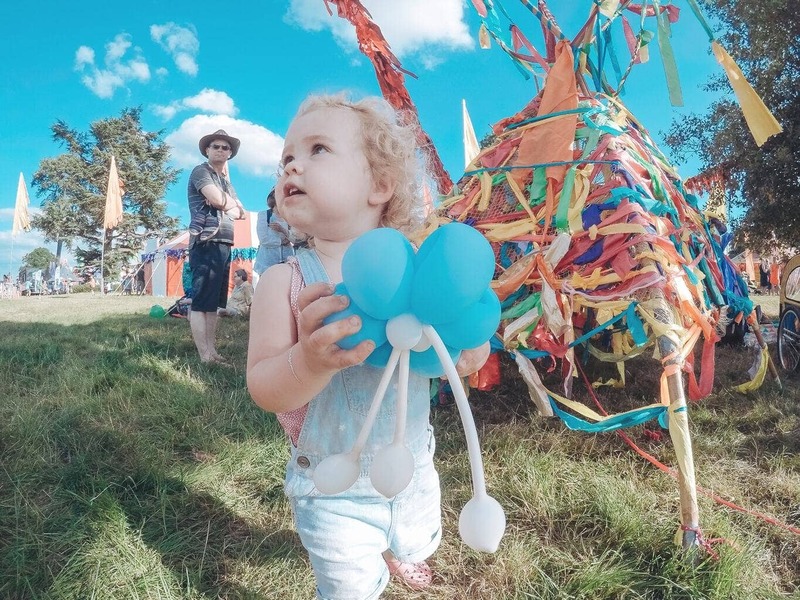 We were invited by them to visit the festival, however when went to the takeover marquee we didn’t tell them who we were, as we wanted to see how we were treated as normal family festival goers. We couldn’t have been treated any better and we were treated as if we were in a fine dining restaurant. Nothing was too much trouble, they ran out of my son’s favourite cereal, so off they went and came back with a full box, rather than just offering what was already opened on the tables. 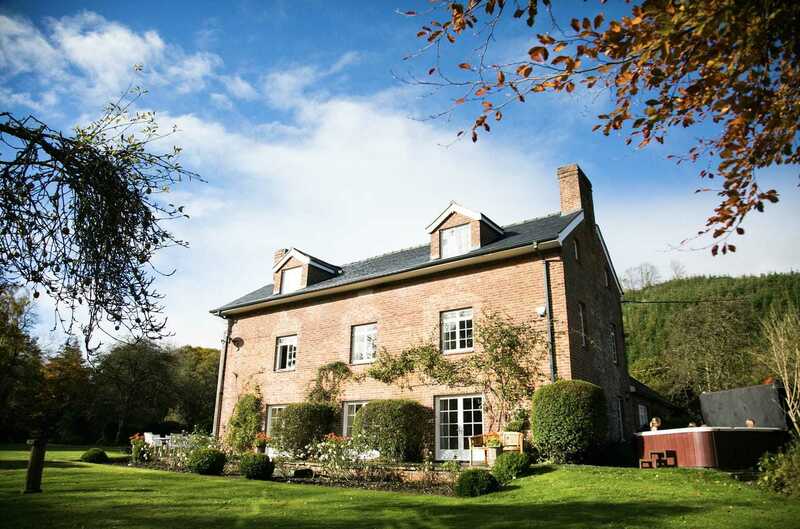 They offered a superb service that was run by really friendly staff. The deck chairs that they provided were a highlight for us, meaning we could relax while listening to more live music before we started our day. This was our first visit to a festival as a family and I can say that it’s reminded me how much I miss live music. 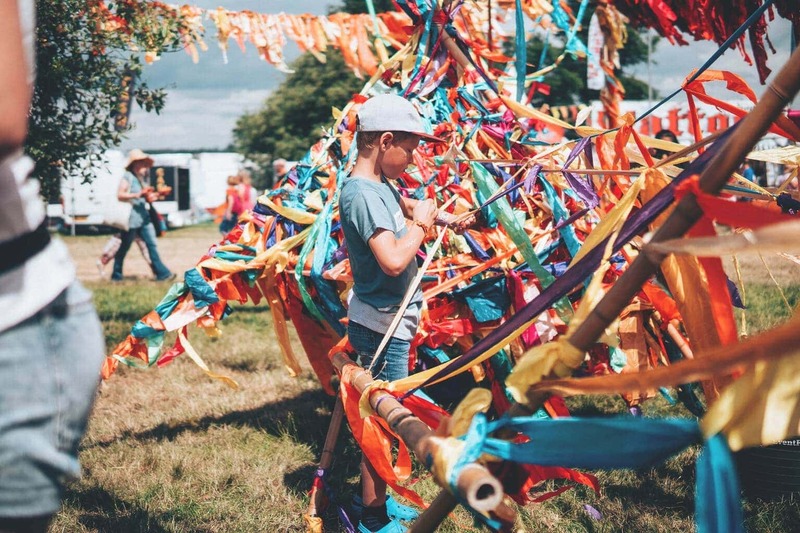 Attending a festival with kids is a different experience due to the fact that you’re not quite free to do what you want but it doesn’t mean you can’t still appreciate them. 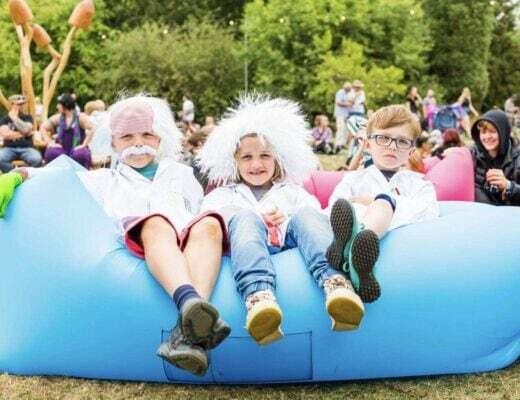 NB: Alex of What Alex Did and Hannah of What Hannah Did received tickets courtesy of Dorset Cereals to attend Cornbury Festival, in return for this review. All views and opinions are my own.